THE ARCHBISHOP of Canterbury arrived in Greenwich this afternoon to mark the 1000th anniversary of the martyrdom of St Alfege. 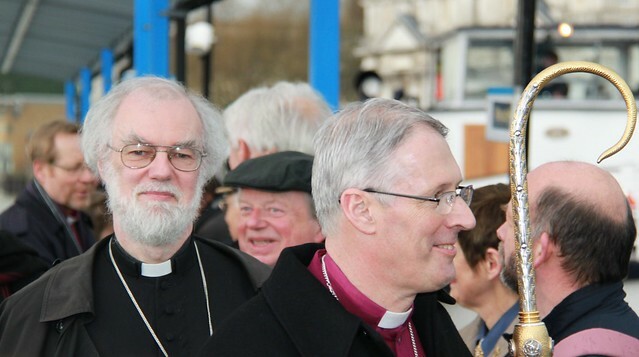 Following a service earlier in the day at Southwark Cathedral, Dr Rowan Williams travelled with the Bishop of Southwark to Greenwich on a chartered Thames Clipper while pilgrims made the journey on foot. The Primate was met at Greenwich Pier by the Mayor, the Deputy Mayor, other dignitaries and local school children from St Alfege Primary School. Sheltering from the rain under umbrellas, the procession made its through the Meridian Estate and ended in the school hall of St Alfege Primary School where schoolchildren performed for the Archbishop - quite brilliantly, it should be noted. He then knelt down and gave a short talk on reconciliation, telling them: "don't leave it a thousand years before making friends" with enemies. 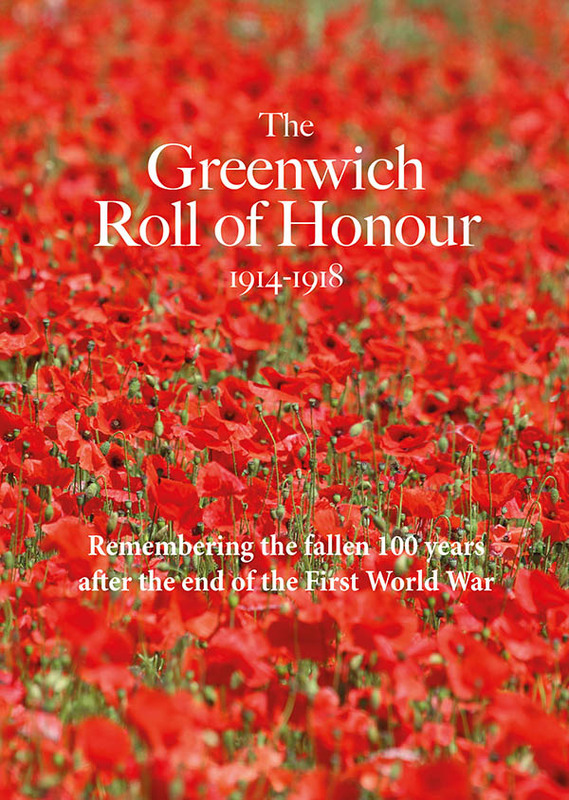 The procession then left the school, with the sun having broken through and joined by pupils walking inside model Viking ships, and snaked through Greenwich town centre. 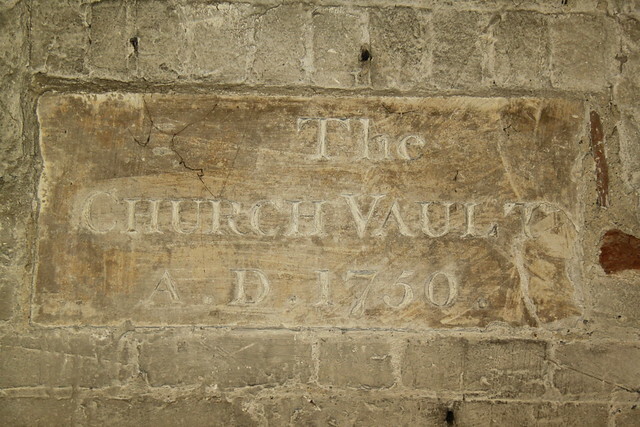 Dr Williams intervened to help when the masts of one ship got stuck under a sign in Greenwich Church Street. "We've come to a place which we all share together as Christians, a place where we see someone actually giving their life for what is of most concern to God. "That's what we're here to celebrate. 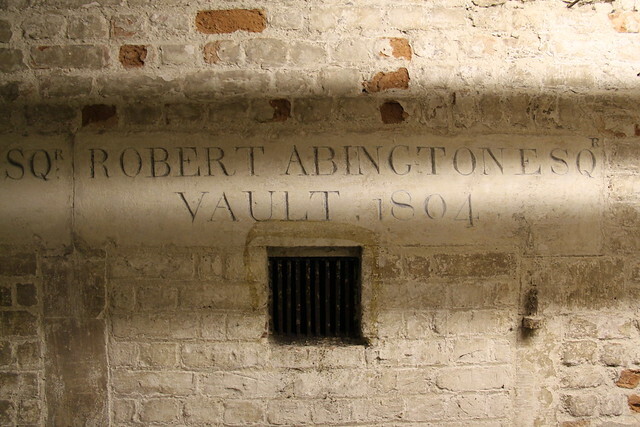 Thank you for commemorating one of my greatest and most wonderful predecessors and I'm also grateful to the person who's taking the place of Alfege this afternoon, rather than myself." After leading a prayer amongst those present, Dr Williams watched a reconstruction of Alfege's murder and spent time talking to the crowd that had filled the church courtyard's green. The Primate ended his visit to SE10 by taking part in a packed service of commemoration in St Alfege Church. 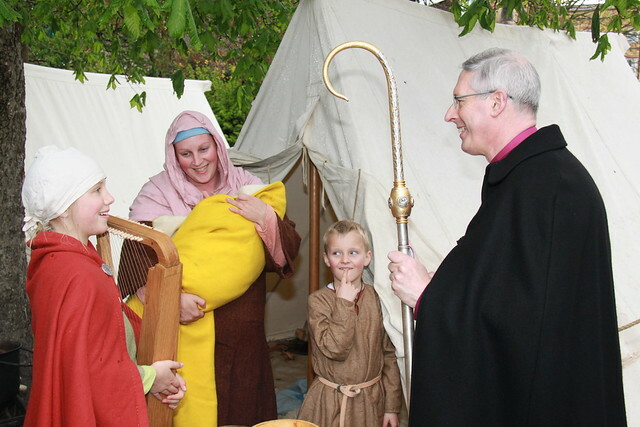 The re-enactment camp will remain at St Alfege until the weekend. Bishop of Southwark talks to members of the re-enactment camp. 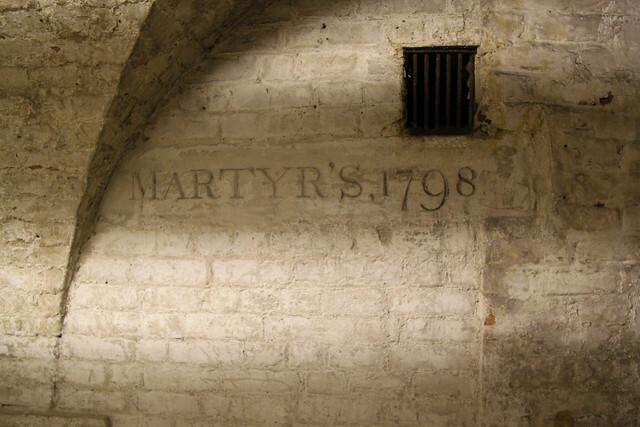 THE ARCHBISHOP of Canterbury will lead a service at St Alfege Church next month to mark the one thousandth anniversary of the martyrdom of St Alfege. 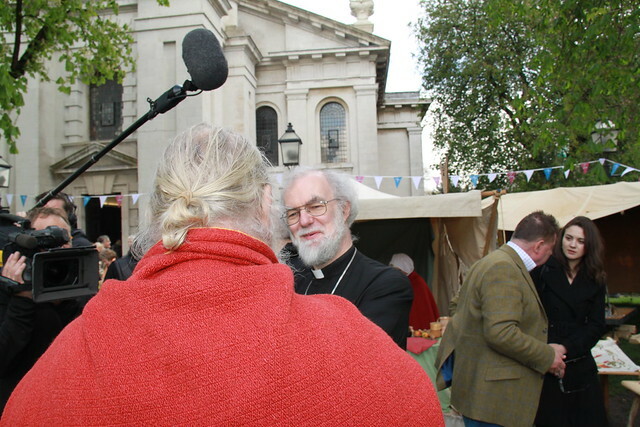 Following a service of welcome at Southwark Cathedral on April 19th, Rowan Williams, will travel to Greenwich by river with the Bishops of Southwark, Woolwich and Bergen. The Millennial Service, which will be a ticketed event, will take place at 4.30pm. Regia Anglorum will set up a re-enactment of Anglo Saxon village life over the following weekend, giving local people the chance to see how life was a thousand years ago. 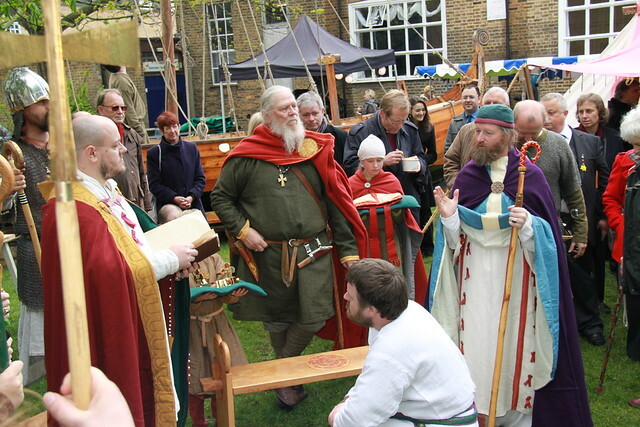 There will be a replica Viking boat and lots of activities to try such as coin minting, singing, craft demonstrations and dancing. 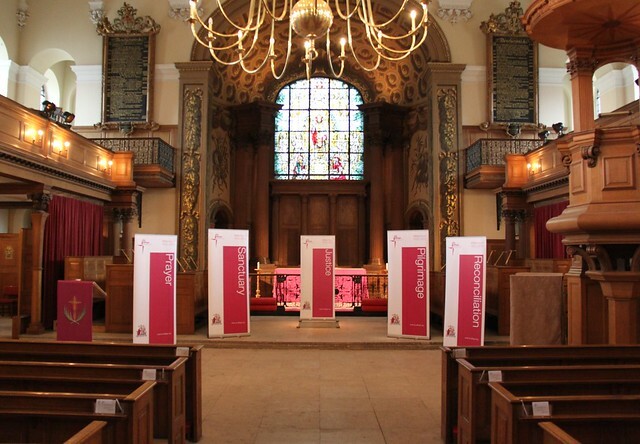 On Sunday 22nd April, BBC Radio 4's Sunday morning service will be broadcast from St Alfege. 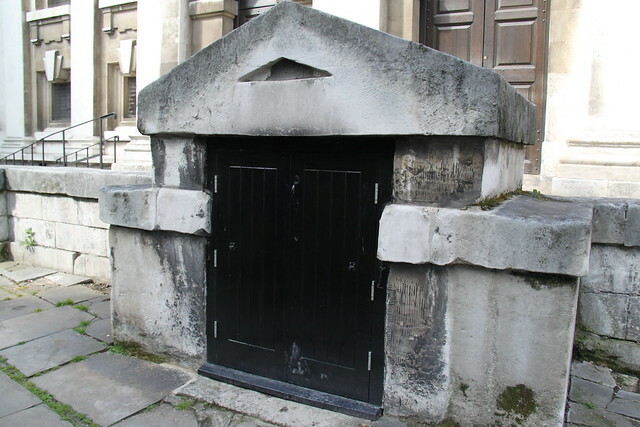 A church has stood on the site of St Alfege 1000 years. 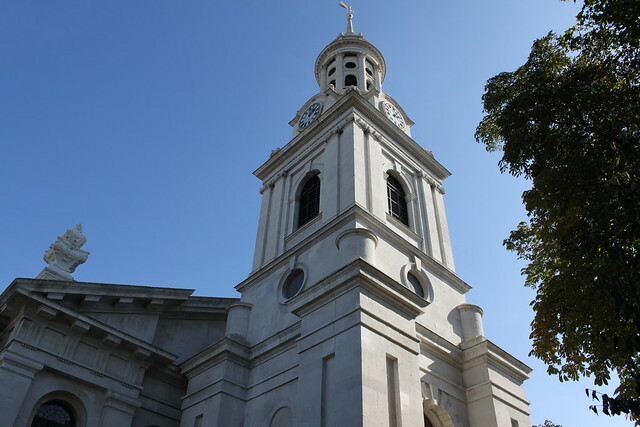 The current church, which is almost 300 years was the first to be designed by Nicholas Hawksmoor. "We're trying to make as open an event as possible whether people can come into the church for services or whether they want to engage in the other activities as well." Alfege was the Archbishop of Canterbury when he was martyred by Viking raiders in 1012 who killed him using animal bones. The visit by the Archbishop of Canterbury comes less than a week before the Church of England's Supreme Governor, HM The Queen, visits Greenwich to see the restored Cutty Sark. 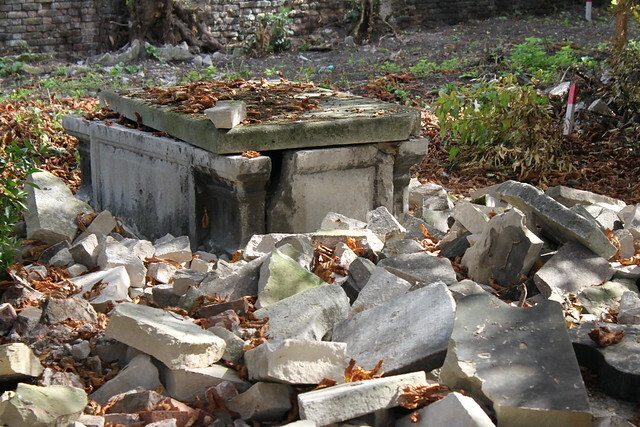 Gravestones that survived for hundreds of years have been reduced to rubble in St Alfege Park. 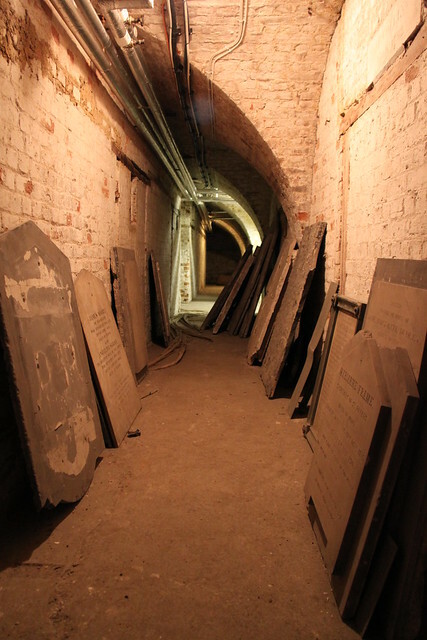 The headstones which had been positioned around the perimeter wall have been broken up and now sit in a large pile in the deconsecrated church yard. 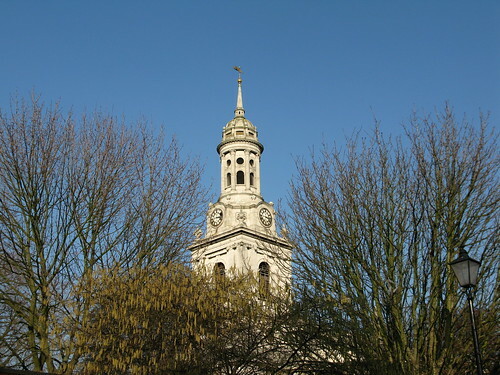 Greenwich.co.uk understands that the Friends of St Alfege Park have been engaged in removing the headstones over a period of months, although this process was accelerated recently with the assistance of workers from the Community Payback probationary scheme. "Part of this work has included the clearance of stone markers believed to be monumental and/or gravestones as requested by a representative of the Friends of St Alfege Park. This has now been completed and we are now working on another project within the grounds." "The smashing to smithereens of these historic tombstones is wanton destruction and a terrible tragedy. All that remains are a few sorry stumps, like broken teeth, and the ghost impressions left behind on the brick wall. The Friends of St Alfege Park appear to have succeeded where the rioters failed." But there is confusion as to who authorised the removal of the headstones in the park, with Greenwich Council legally obliged to ensure headstones remain safe in what is classed as a "closed church yard." Additionally, the removal and destruction of gravestones is subject to controls under the 1977 Local Authorities Cemeteries Act. "There would seem to be some dispute as to what instructions were given to the Payback Team. As this is a Council responsibility I believe that the Friends should not have been involved. The memorial stones are an important legacy. Not all of the Headstones were damaged and I have asked Officers to look at creating a memorial garden where all of the tombstones can be brought together to create a large memorial plaque." 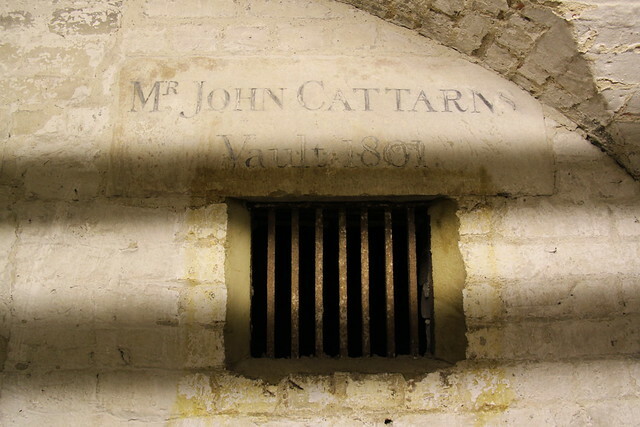 A request for information on why the work was carried out had not been answered by the Friends group at the time of publication, but a clue may be found in the Management Report of 2008. 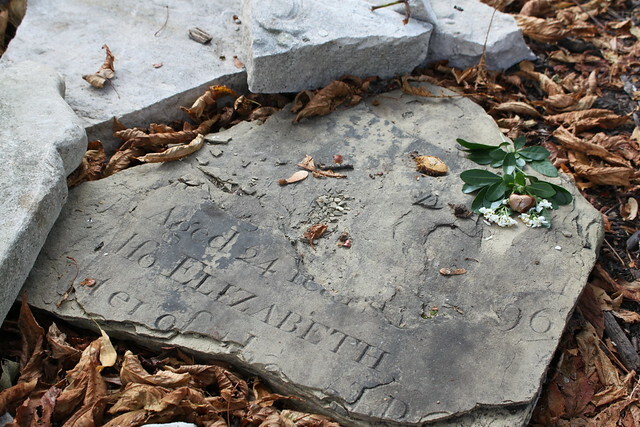 It says the headstones around the perimeter wall are prone to vandalism or damage from plants behind because of the gap between the stone and the wall. 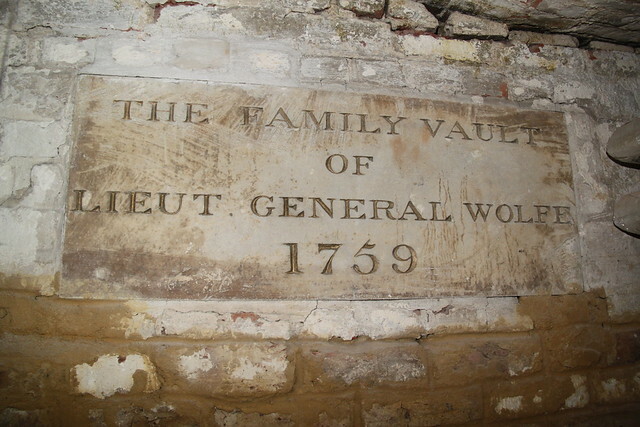 The report recommended mortaring the stones in place to reduce the possibility of damage. The authors of the Plan also commented "memorials within the park add an excellent ambience to the site. 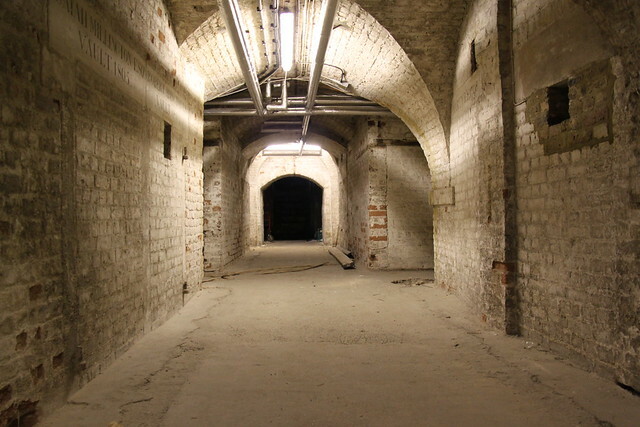 "If they were removed, it would significantly decrease the site's visible heritage." The Friends of St Alfege Park was formed in recent years and its volunteers have worked to improve the quality of the park. It has become a venue for live theatre events and the Friends are aiming to achieve Green Flag status by 2013/14. "'I'm shocked that this appalling desecration of headstones could be allowed to take place in this way, and I'm glad Cllr. Fahy is taking the matter seriously. Whatever instructions were given should never have been allowed to be carried out, and I hope we will get some answers, fast, on just what happened. " 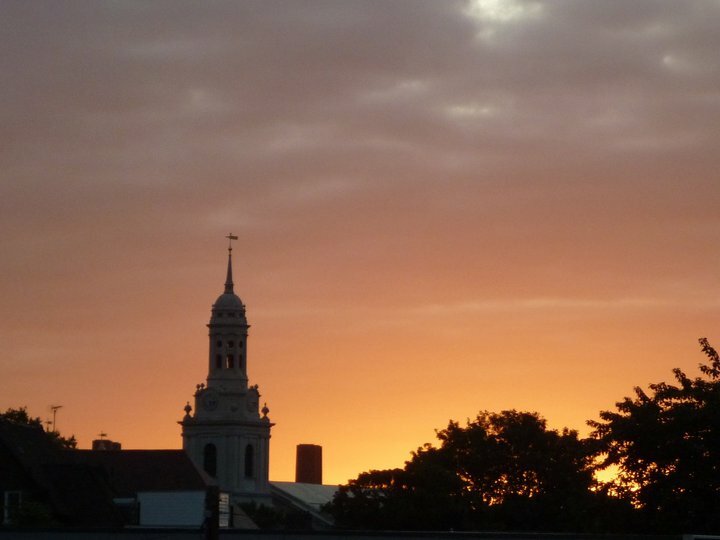 Many thanks to Malcolm Reid for sending me this lovely photo, taken by a friend of his at 5.30 am one day last week. Thanks to Neil Rhind for this photo from Sunday's 1711 walk, which I mentioned in Friday's Daily Photo. Rev Christopher Moody, Vicar of St Alfege, Greenwich, gives his every blessing on Peter Dodge and his stalwart long-distance walking team. 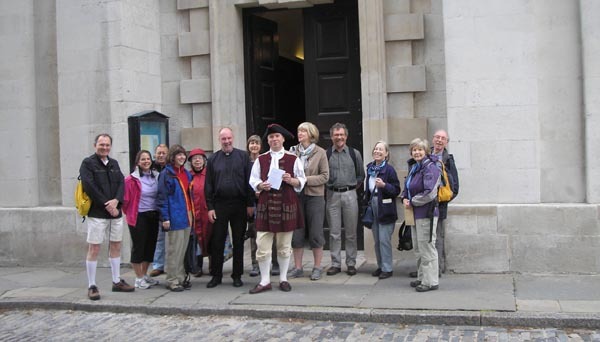 They intend to visit 12 of the surviving churches, built as a result of the 1711 50 New Churches Act, seventeen and a half miles later. 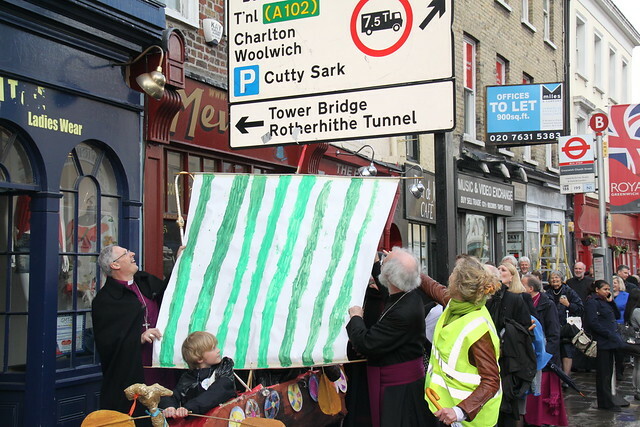 They started at St Alfege, and intend to finish (rain notwithstanding) at St John's Smith Square, encompassing inter alia, St Ann, Limehouse and St George's, Bloomsbury. 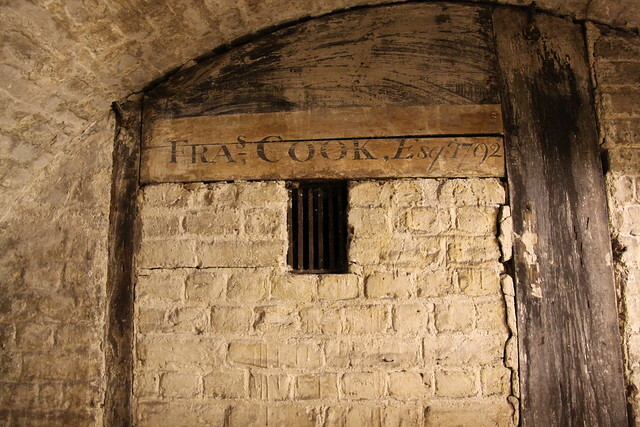 This special event marks exactly the date that the Act was given assent by Queen Anne: 12 June 1711. 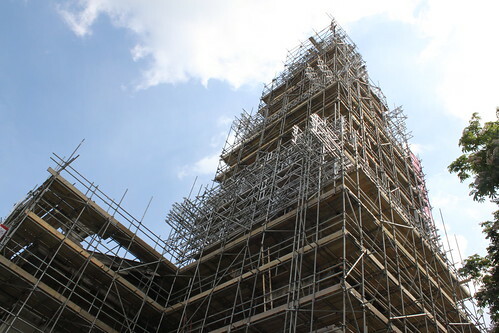 The tower of St Alfege church in Greenwich looks a little different here with a covering in place for renovation work to take place. The church tower looks rather more like a giant ice lolly - or am I hallucinating in this hot weather? 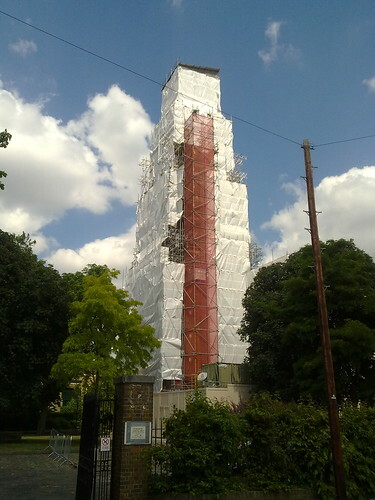 The tower of St Alfege church covered in scaffolding whilst renovation work is undertaken. I suspect an even better picture could be taken by someone at the very top of that scaffold. 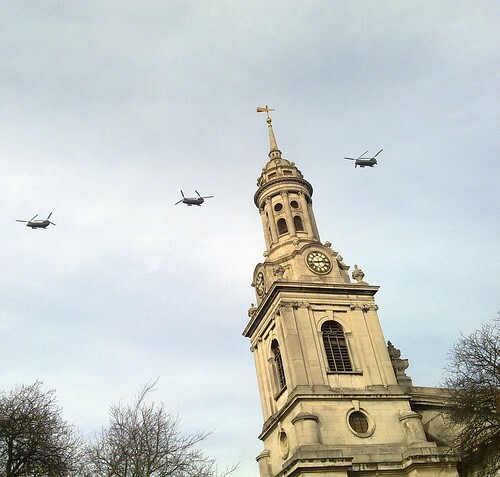 This convoy of three tandem rotor helicopters passed over Greenwich on Wednesday and can be seen here above St Alfege Church. This deep blue sky and the mild temperatures made it a glorious day in Greenwich today.